Earlier this year, we received astounding news: Printing giant Kodak will cease making inkjet printers in 2013. This is part of its plan to reorganize the company as dictated by the terms of their bankruptcy filing in February 2012. 1885 — George Eastman invents roll film, the predecessor for modern movie film. 1889 — The Eastman Kodak Company is founded by George Eastman in Rochester, New York. 1900 — Kodak's BROWNIE camera is released to the general public. At a cost of $1, this camera is widely considered to be the one that brought photography to non-professionals. 1936 — Iconic photograph Migrant Mother is taken using Kodak film. Kodachrome film will be used to take the famous Afghan Girl portrait 49 years later. 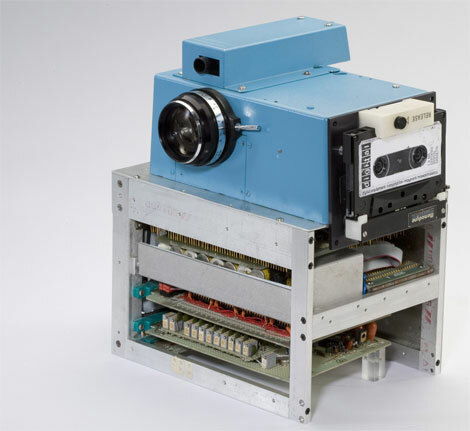 1975 — A Kodak engineer creates the very first digital camera. 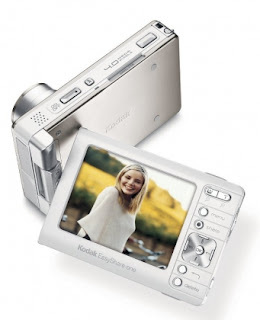 2001 — Kodak enters the digital camera market with the EasyShare camera. It quickly becomes a hit due to its easy-to-use uploading dock. 2004 — Kodak production of traditional film cameras ceases; disposable camera sales continue. 2005 —The EasyShare-One, the very first Wifi-capable camera, is released into the market. Kodak makes its mark as the first company to release a camera capable of distributing a user's photos over the Internet. 2007 — Kodak enters the inkjet printer market with the Kodak EasyShare printer line. 2012 — Kodak files for Chapter 11 bankruptcy, terminating production of digital cameras, digital picture frames, and small video cameras. 2013 — Kodak will end sales of all inkjet printers. The company will no longer make inkjet printers, but will continue selling Kodak ink to existing printer customers. Kodak still continues to be active in the commercial printing business, and still produces the little yellow disposable cameras they're so famous for. But their reign in the world of printing, however brief, will not be forgotten. Do you have any great memories using Kodak products? How do you feel about the company changing its business plan so drastically? Let us know in the comments! Sources: Wikipedia.org (pages), Mashable, CNN Money, Telegraph, Kodak.com, links. I love the idea of printing wirelessly. My brother spent hours in configuring this app. This is very informative. Thanks for the help. Why Inkjet Printers Clog — And How to Fix Them!